New Pianoteq Engine, including the Pianoteq 6.0.3 Demo version, upgradable to 6.1 or licensed version from the webconf tool. See this forum thread. Global MIDI-learning. See the updated wiki documentation. Improved Security: SSH keys and webconf cookie secret will be generated on first boot, avoiding that anybody accesing your local network can hijack your zynthian box. See this forum thread. PANIC functions. See this forum thread. Fixed MIDI router that should fix the problems that some people have with specific keyboards and engines (fluidsynth). See this forum thread. Supports the new RBPi 3 B+: It includes a recent version of firmware (rpi-update), as required by the new RBPi3 B+. MIDI over network: It can be enabled from the Webconf or the UI’s Admin menu. It uses QmidiNet (thanks, @rncbc!!! ), that implements UDP/IP multicast and it’s compatible with IP-Midi for Windows & Mac. See this forum thread. Improved controller scheme for setBfree, integrating latest changes from @x42. Thanks to everybody collaborating in development and testing, specially @C0d3man, @mheidt and @wyleu that have spent lot of hours working on making a better zynthian! Probably this will be the last “Gorgona” release. We are working in a new building system for zynthian: the ZynthianOS, based in CustomPiOS from @guysoft. That will allow us to dramatically simplify the building process and will give us the possibility of having fresh nightly builds. 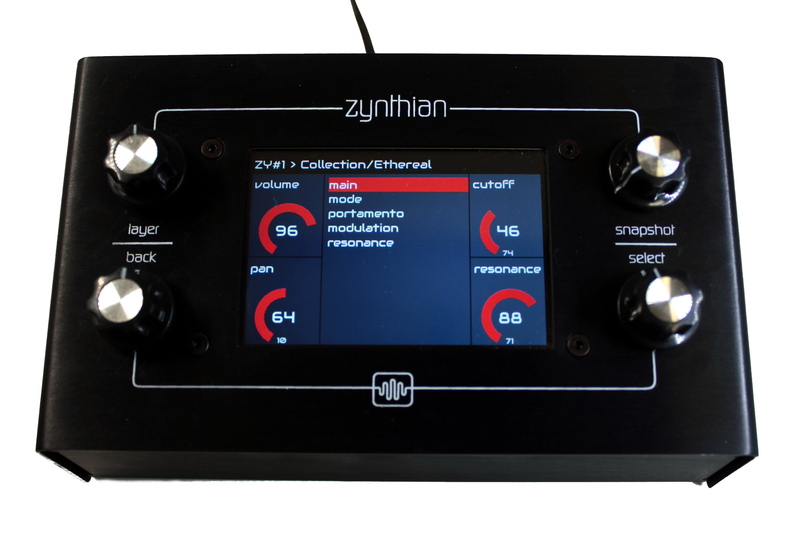 Previous Previous post: Zynthian Shop is on-line!